This terrific tiger needs some color! 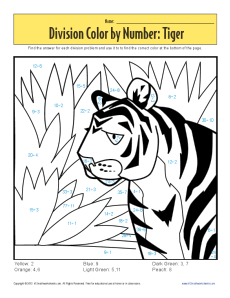 Your youngster must solve the division problems to find the correct colors to use. Where else can a few equations make a work of art?